Ever since he chanced upon Nasarawa political scene in 2015 as the gubernatorial candidate of All Progressives Grand Alliance (APGA), former Minister of Information, Mr. Labaran Maku, proved that things could be done differently outside godfathers in the state’s politics. 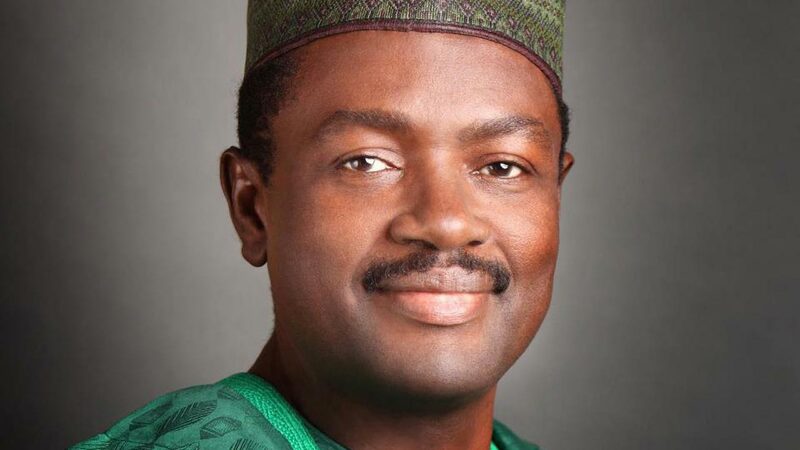 At the build up to the forthcoming general election, Maku is leading two other dark horses in what promises to be a crunchy electoral battle in the state, just as his face and name recognition put him in pole position. Maku hails from Wakma in Akun Development Council under Nasarawa Eggon Local Government and North Senatorial District. His first appearance in Nasarawa political system was when the former governor Alhaji Abdullahi Adamu appointed him as Commissioner of Information. Though prior to his appointment as commissioner, Maku had engaged himself in student union politics both at the state and national levels and earned for himself some prominence in his journalism profession.He was later elevated to the position of deputy governor during Adamu’s second term, which lasted through 2004 to 2007. At the climax of Adamu’s tenure, Maku was tipped by his principal to succeed him, a step, which was later downplayed by the same Adamu during the party primary. Adamu was said to have preferred the late governor Aliyu Akwe Doma on the guise that Maku was too young to govern the state despite being above 45 years of age. Even at that, Doma, who was then in All Nigeria Peoples Party (ANPP) was prompted to dump his party to be given the governorship ticket in the ruling party in the state, PDP. Doma jumped at the offer and abandoned ANPP for PDP a few days to the governorship primaries in 2007. Irked by the development, Maku, who was directed to parry his ambition for Doma, had no option than to galvanise all support and ensure that PDP won the election.While Maku was ‘waiting for his maturity for the governorship’, a higher call came for him to be minister at the federal level. In fact, the former minister confessed that his appointment by former President Goodluck Jonathan in 2010 was a leap to further build his political dream, because he became the leader of PDP in the state when Doma lost his second term bid to Umàru Tanko Almakura. Almakura had decamped from PDP to join in the formation of the defunct Congress for Progressive Change (CPC) promoted by General Muhammadu Buhari (retd). Surprisingly, as CPC guber candidate, Almakura defeated the incumbent PDP candidate, Doma, to emerge the only CPC governor.As things turned out, PDP’s defeat at the hands of the newly formed CPC in Nasarawa State in 2011 proved to be another stumbling block to Maku’s dream of becoming governor. But it was believed that kingmakers in PDP actually hatched the plot for the party’s eventual defeat. Senator Abdullahi Adamu was said to have revealed that “we planted Akwe Doma as governor and we uprooted him and replaced him.” Although when the likes of Maku foresaw the moves to dispose of Doma, they cautioned against the move, but instead, the godfathers accused Maku of entering into a secret pact with Doma to hand over to him at the end of his second term. In the intrigues that followed, Senator Solomon Ewuga was wooed to join forces with Almakura’s administration with the hope that he (Almakura) would spend just one term in office and hand over to Ewuga. 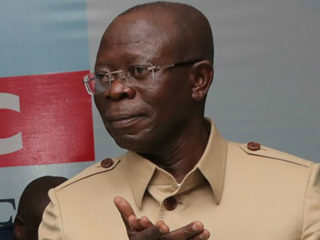 But as in most political promises, that agreement was not documented and it never came to fruition.Nonetheless, Ewuga traversed the entire state to gather support from his kinsmen, the Eggon, who have never ruled the state since 1996 when it was created, but are without doubt the majority tribe in Nasarawa State. Again, although the Eggon are given only one local government, there is hardly any local government out of the 13 in the State that you will not find the Eggon making up 40 to 50 per cent of the total population.That the minority tribes have been ruling the majority in Nasarawa could be traced to the ‘divide and rule’ tactics being deployed coupled with monetary inducement by the minority political gladiators. Without knowing it, many Eggon political leaders have been falling for these antics over time. There is hardly any election in the state that the beneficiaries do not apply the gimmick to trick the majority Eggon and use them to win elections. However, the likes of Maku, either by mingling with top political mentors, both in the state and at the federal level, seem to have discovered the tricks of these kingmakers in Nasarawa. That could explain why the former minister quickly dumped PDP and extricated himself from the platform peopled by the political godfathers that deploy gimmicks in deciding who becomes who in the state.As the 2019 poll draws near, most politicians in the state have accused the outgoing governor, Almakura, of trying the same ploy to impose Engineer Abdullahi Sule as governor. The governor had sworn on many occasions to install his preferred candidate as his successor in 2019. Maku’s decision to jump ship in 2014 could prove his saving grace, because it was becoming impossible for him to actualise his ambition to govern Nasarawa State. But prior to the event that forced him out of DP, Maku was said to have secured the support of all the 23 members of the State House of Assembly, bought their nomination forms after being endorsed by a majority of the delegates. But while the stage seemed set for Maku to emerge as governorship candidate of PDP in 2015 to contest against the incumbent, Almakura, of APC, his expectation was dashed as some entrenched interests within PDP joined forces with some traditional and religious leaders outside the party and conspired to support Alhaji Yusuf Agabi, who was seen as a mismatch for the incumbent. Although he emerged second in the PDP primaries, Maku dumped the party to join Labor Party in 2014. But while in Labor Party, another domestic force rose up against him, ostensibly engineered by Governor Almakura to denying him participation in the governorship race.At a late rally, the former minister, on December 25, 2014, joined APGA, a virgin platform and emerged its governorship candidate to contest the 2015 general election. But barely three months to the 2015 election, Maku took APGA to every village and town in Nasarawa for the first time with the youths as his main backers. While APC and PDP relied on big names and structures, which they believed would give them victory and therefore concentrated their campaigns in the towns, Maku was going inland. The presidential election in 2015, where Goodluck Jonathan defeated Buhari in Nasarawa State amidst the sweeping victory of Buhari in the North Central, sent a strong signal to the ruling APC that the political rhythm of the state has taken a new dimension. But while everybody expected Maku to have won the governorship it turned out oddly against him. INEC’s final result showed that APC won with APGA coming closely behind APC, just as PDP came a distant third. It is no surprise that ahead of the 2019, elections APGA has produced candidates for the various elective positions through free and fair primaries while Maku emerged the sole governorship candidate of the party.The three main contenders in the governorship contest in Nasarawa State are David Umbugadu of PDP, Abdullahi Sule of APC and Maku of APGA, all from Nasarawa Northern Senatorial District. Maku and Unbugadu and Eggons by tribe are from the same local government whereas Sule claims to be from Mada tribe in Akwanga Local Government (though the Madas have come out to declare that he is not a Mada man).David Unbugadu, who is the youngest (42 years), started his political ambition in 2011, when he contested the House of Representative in CPC and won under the influence and popularity of Solomon Ewuga, and has remained in the house since then. 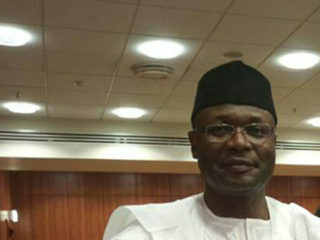 Umbugadu defeated Solomon Ewuga during the party’s primary to emerge the party governorship candidate, a development that didn’t go down well with a number of elders and supporters in the party, who noted that Unbugadu does not have the competence and relevance to contest with other candidates not to talk of ruling the state with its huge challenges. Some of the elders have owned up by saying they would rally support for Maku to rescue the state from the present predicament that the state has found itself. One of the elders told The Guardian: “This boy, Umbugadu, does not have what it takes to fix the state. We need to throw off all sentiment and vote a man we all know can deliver the state from present insecurity and economic woes.”The candidate of APC, Abdullahi Sule, became prominent in the state in 2007 when he contested as the governorship of ANPP. Sule, who could not win the party primaries, since disappeared from the scene, till recently when Almakura chose him as his preferred candidate. The decision by Almakura to pick Sule has brewed serious political conflict with Senator Adamu, who felt a free level playground should be provided for all aspirants to contest.All effort to reconcile the duo has proved abortive, and a battle line has been drawn between the two political gladiators. Before the APC governorship primaries, all the 10 governorship aspirants felt betrayed by Almakura, whom they said had earlier vowed not to have any anointed candidate. 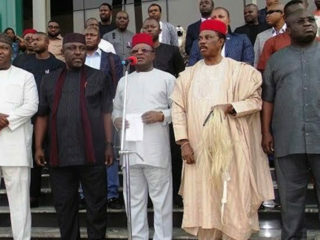 Members of APC in the state, and mostly all the aspirants, have expressed dissatisfaction with the emergence of Sule, whom they vowed never to support because his imposition on the party.On the other hand, Maku seems to have become the beautiful bride of the state given his background and the ill-treatment meted out to him in the past by political godfathers. However, the major challenges Maku seem to be facing is the fact that he is a Christian and comes from the same local government with the PDP candidate. In Nasarawa, no Christian has ever ruled the state though they are in the majority. But a section of Muslims believe that Nasarawa is a Muslim state and therefore a Christian should not be allowed to rule.As the main political parties have thrown up their contestants, it is left to be seen whether the electorate would consider competence and capacity over sentiments. A lot depends also on whether the election would be free and fair in 2019.